Trying to bring something new into your designs? Are you completely tired of using the same old fonts again and again? Well, I have an answer to both of these questions from you. You see, fonts are a thing that keeps on evolving & developing new trends in graphic design emerges. So, to make a graphic design project successful, you need to bring in and use novel ways that will portray the message in your work quite convincingly & clearly to the audience, and typography is one of the very crucial elements in order to execute this job effectively. Because of this reason, I am introducing to you the top 5 hottest fonts of 2015 that are both stylish and remarkably witty and will help you to portray your core message to your readers very persuasively. Let’s take a look then! The very first font in our top 5 hottest fonts of 2015 is the incredibly confident and bold Tungsten. It is a sporty and compact thing and powerful enough to convey your message strongly to your audience. Tungsten is built on a flat-sided sans serif font structure and is best used for sign painting in which it fits adorably. For this reason, Tungsten font is very famous for poster designing. 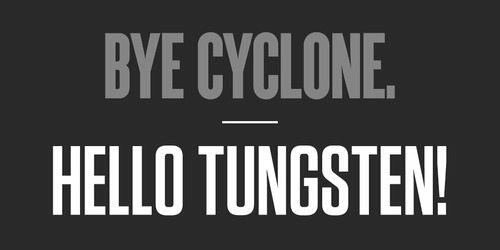 Tungsten owes its compactness of size and extreme clear boldness to the fact that it is highly condensed with value-added three weights upon the font makes it a variable choice. So, why not try Tungsten for your graphic design project in 2015 once? Click here to get Tungsten Family Fonts. If you are looking to add something stylish and extraordinary to your logos or identifiable works, then Labyrinthus should need to be your choice in 2015. Labyrinthus was developed by an Italian designer Antonio Cerri in 2011 and it applies greatly on 3D compositions and vector graphics work. It\’s highly decorative as well if you have the creativity to get the most out of this amazing font. Want to try Labyrinthus? Click here to get Labyrinthus for your graphic designs. Calluna is one of those fonts in top 5 hottest fonts of 2015 that is known for its neatness, grace, and modern outlook. Actually a by-product of Museo and Jos Buivenga’s font family, Calluna is fully packed with high personality of its own and works quite deliberately well with big & small point size printings. Calluna’s structure is built on a slab-serif directional style which makes it highly appealing & fashionable in its own respect. Should you be willing to use Calluna for free in your project, click here to get your Calluna font and enjoy its richness? It’s simply one of the most stylish and versatile font family from the top 5 hottest fonts of 2015. Pluto is a powerful pack of 32 stylish fonts that are highly recommended for top-class displaying works. I addition to big-sized displays, Pluto is equally efficient for small size graphical works as well because of its x-height capability. There is another quality associated with Pluto which is its ability to well integrate into a complex structure of typography. Its structure is based on Open-Type format with an extended character support that is highly compatible with Western, Eastern, and Central European languages. 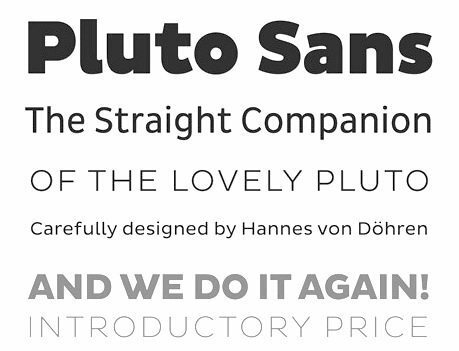 With this much support & ability, I believe you should try Pluto Font once for your projects. Click here to get your Pluto font. This particular font type from the top 5 hottest fonts of 2015 is highly recommended for scripting works. Greyton Script font is created by the South African designer Gerhard Schwekendiek’s and its appearance is ribbon-like and bold. This is font is a classic example of style and attractiveness. Try Greyton Script here. Alas! The list of top 5 hottest fonts of 2015 is over folks, but which one of these fonts have made you a fan? Try using something new and creative in your graphic designing projects with these new fonts today and see what more can you make the most out of these novel inventions. Share your opinion with us in the comments section.